My name is Min WU and during this Google Summer of Code I have worked on the project to interconnect Gephi Graph Streaming API and the GraphStream library. My mentors are Yoann Pigné and André Panisson. This project aims at interconnecting the GraphStream’s dynamic graph event model with Gephi in order to have Gephi to visualize an ongoing graph evolution and measurement. Based on this project, users can model and simulate complex systems with GraphStream while observing the output with the visual tools offered by Gephi. GraphStream is written in Java. In order to use streams of graph events in other languages, GraphStream provides the NetStream framework, i.e. a network interface, such that other projects written in other language can use GraphStream. The NetStream framework consists of three parts, receiver, sender and the NetStream Protocol. The receiver is responsible for receiving graph events from the network and dispatching them to pipes. It works within only one thread, listening at a given address and port while receiving graph events from several streams, actually several threads or clients. The sender encodes graph events into messages according to the NetStream protocol and send them to a defined receiver with given port, host and stream ID. Every message contains sourceId, timeId and event context, among which the combination of sourceId and timeId is dedicated to distinguish between several streams and solve the synchronization issue. Finally the NetStream protocol specifies the message format at byte level. Gephi also supports the idea of “streams of graph events”. It has a framework for graph streaming in Gephi plugin built by André Panisson during the 2010 GSoC, through a multi-threaded socket server. Other applications can push graph data to the Gephi server through the network, and have it visualized. In this graph streaming project, operations (a concept similar to event) are invoked through HTTP requests made by the client to the server, based on a JSON format. In my project, I interconnected Gephi and GraphStream based on André’s Graph Streaming plugin. Since NetStream on GraphStream side works on NetStream protocol while Graph Streaming API on Gephi side works on JSON protocol, we have to make them compatible with each other. Considering the flexible interoperability and language agnostic properties, I have chosen the JSON protocol to do the interconnection and implement a sender part and a receiver part. The sender part (JSONSender) is responsible for sending events from GraphStream to Gephi. 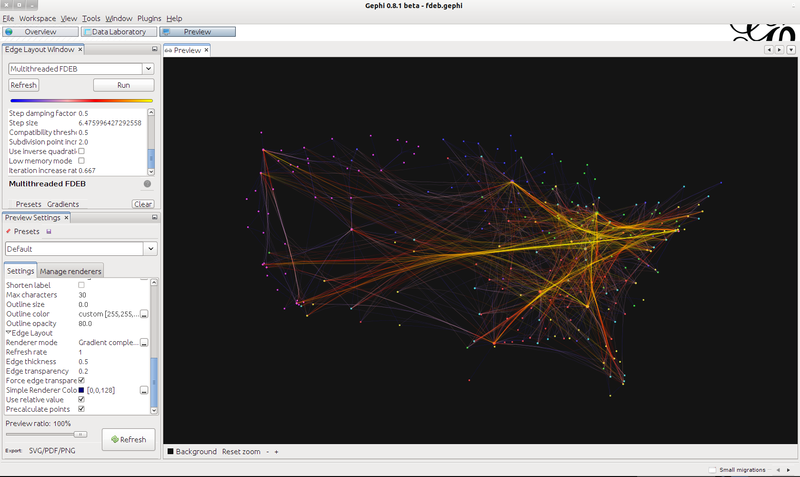 GrpahStream works as a client and Gephi works as a server. 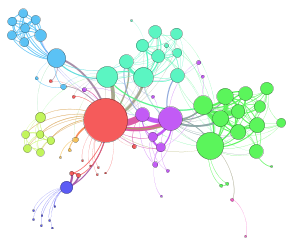 Every time the graph in GraphStream changes, a corresponding event is sent to Gephi. Gephi handles the event and changes its own graph. In this way, the sender part works as a sink of the GraphStream graph, so it must implement the sink interface which contains methods to deal with graph element events and attribute events. In each method, we first encode the event message into a JSON string, and then send it to Gephi. We connect to Gephi and use “updateGraph” operation to send events. The corresponding URL is “http://host:port/workspace?operation=updateGraph”. The host and port must match with the Gephi sever and the workspace is a destination workspace of Gephi, for example an URL can be “http://127.0.0.1:8080/workspace0?operation=updateGraph”. 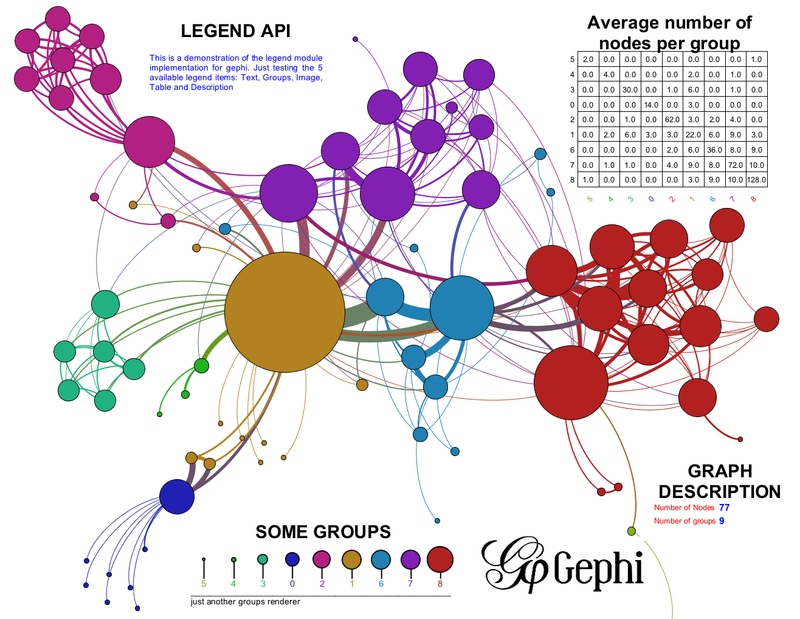 The Gephi server and client are built with the “Graph Streaming API ” in the Gephi-plugin. The receiver part (JSONReceiver) is responsible for receiving events from Gephi. It listens to Gephi and waits for events. Every time the graph in the Gephi changes, a corresponding event will be send to GraphStream. Then the GraphStream handles the event and changes its graph object. In this way, the receiver part works as a source of the GraphStream graph. 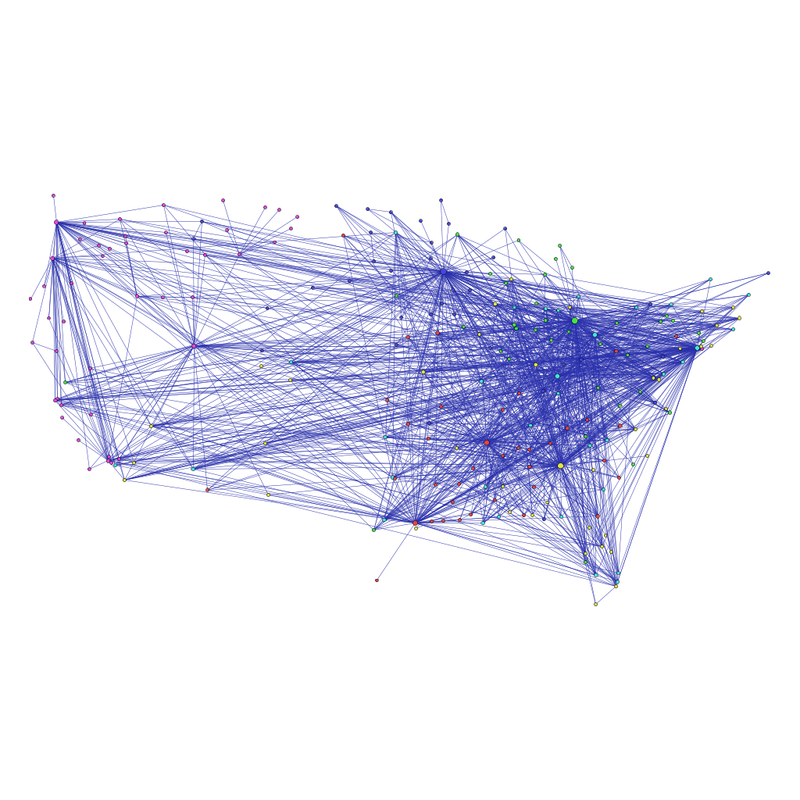 In order to listen to Gephi events, we use a URL within “getGraph” operation to connect to Gephi. The corresponding URL is “http://host:port/workspace0?operation=getGraph&#8221;. With these two classes, we can interconnect GraphStream and Gephi in real-time. Two tutorials are given to show how to do real-time connection between GraphStream and Gephi, see the video below. If you are interested in the detail implementation, please refer to the manual page. The first class is GraphSender, which aims at loading a graph in GraphStream and dynamically displays it on a Gephi workspace. We need to create a graph instance and a JSONSender instance, and plug the JSONSender instance as a sink of the graph instance. Since then, when we generate the graph, or load the graph from a file, Gephi will display it in real-time. The other class is LinLogLayoutReceiver. 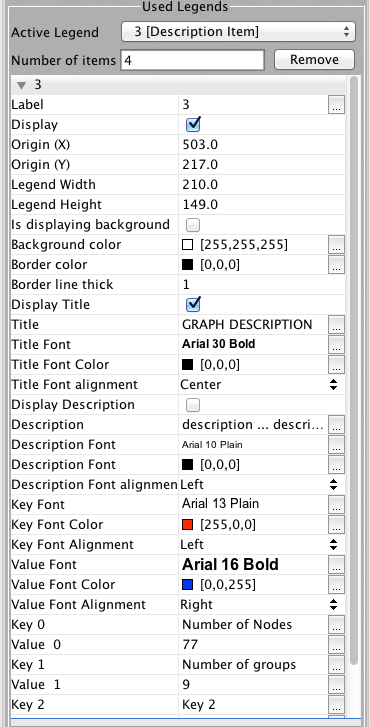 The Lin-Log layout in GraphStream is dedicated to find communities in graphs. This tutorial shows the execution of a Lin-Log layout in GraphStream and the sending of the layout information to Gephi in real time. We first load a graph in Gephi, display it and apply some algorithms. 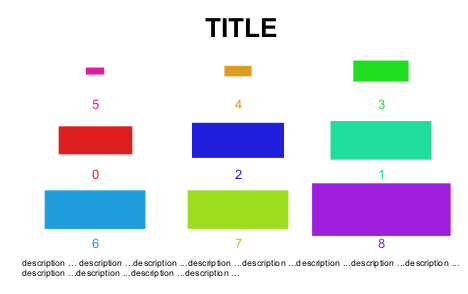 Then we send the graph to GraphStream and apply the Lin-Log layout on the graph on the GraphStream side. Meanwhile we visualize the layout process on the Gephi side in real time. To achieve it, we create a graph instance and a JSONReceiver instance, and then get the ThreadProxyPipe instance and plug the graph instance as an ElementSink of the pipe instance. Then we apply the Lin-Log layout, and create a new thread in which to create a JSONSender instance and plugin it as a sink of the graph layout. This project is distributed under MIT license. You can refer to the code on Github. By the way, I feel very appreciative for my mentors’ supervision. Thank you very much!